The sun has set – Governor Brown acts on 2017 legislation. Governor Edmund G. Brown Jr. has now signed or vetoed employment-related legislation passed by the California Legislature in 2017. 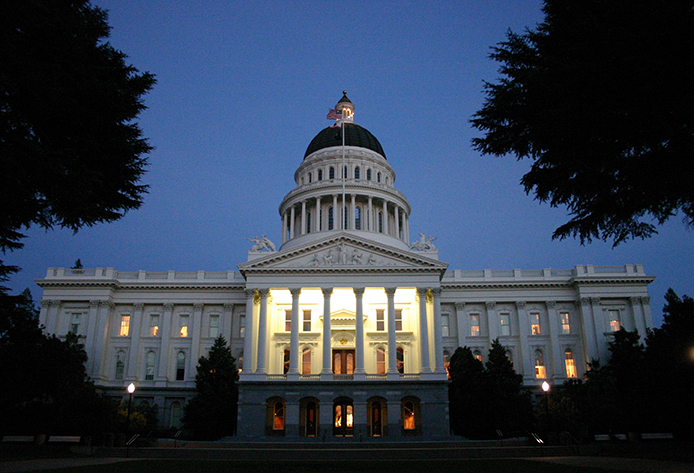 Governor Brown did not finish acting on many of the bills until just before midnight Sunday night. As usual, labor matters were among the hardest fought issues on CalChamber’s agenda. Legislation mandating that small businesses with as few as 20 employees provide 12 weeks of parental baby bonding leave to employees (SB 63). If an employee takes this leave, the new law prohibits an employer from refusing to maintain and pay for health care coverage. Employers can be sued for failing to provide the leave, failing to return the employee to the same or comparable position after the leave, failing to maintain benefits while the employee is out on leave or taking adverse employment action against an employee who uses the leave. A new law banning employers from asking about, or considering, a job applicant’s prior salary history in determining whether to hire the applicant or how much to pay the applicant. An employer can also be penalized for not providing a pay scale for the position upon demand (AB 168). Ban-the-box legislation prohibiting employers with five or more employees from asking about criminal history information on job applications and from inquiring about, or considering, conviction history information at any time before a conditional offer of employment has been made (AB 1008). New requirements for mandatory sexual harassment prevention training (applies to employers with 50 or more employees). Beginning January 1, 2018, the training must include information on gender identity, gender expression and sexual orientation. The legislation also requires employers to post a poster, developed by the Department of Fair Employment and Housing, on transgender rights (SB 396). The Immigrant Worker Protection Act that shields workers from immigration enforcement while on the job. The legislation prohibits employers from providing federal immigration enforcement agents access to a business without a warrant and requires employers to notify employees of Form I-9 inspections performed by federal immigration enforcement officials (AB 450). 2017 was a busy year for employment-related legislation, and a number of other new laws will also affect California businesses. But, some bills that would have increased the already tough load on California employers were vetoed. CalChamber stopped a number of harmful labor-related proposals, including AB 1209 (Job Killer), which would have required employers with 500 or more employees in California to collect data on the salaries paid to men and women and, then, submit the information to the Secretary of State’s office for posting on a public website. This data collection mandate would have exposed employers to public criticism and costly litigation. CalChamber employment law experts will cover the new employment laws for 2018 in the November 2 issue of our HRCalifornia Extra newsletter (subscribe to HRCalifornia Extra) and in our annual new laws whitepaper (coming in November).